The HOA was Sued and We Should Tender – What Does That Mean? •	What does “tendering the lawsuit” mean? “Tendering the lawsuit” means that the lawsuit is sent over to the association’s insurance carriers for defense. The insurance company’s obligations to provide indemnity or defense to the lawsuit is triggered by the tender. The tender is usually made by the association’s management, legal counsel or the board of directors and is usually accomplished by sending the lawsuit paperwork (the summons and complaint) to the association’s insurance broker/agent or carrier, as the case may be. •	Should the board tender the lawsuit? Yes! While there should be an evaluation made as to whether the claim is likely to be covered by the association’s insurance carrier for defense, if the lawsuit has been filed by a homeowner against the association, in most cases, the lawsuit should be tendered to the carriers that provide general liability and D&O (directors and officers) coverage. If the lawsuit has been filed by a vendor against the association for nonpayment of the contract price, even if the association has a defense, those claims are almost always not defended or indemnified by the association’s insurance carrier. There may be an occasion where the association does not want to tender the case. For example, a lawsuit filed by a homeowner where it is clear that there is no actual case. But failing to tender can be risky. •	Which carrier will defend the association? Associations almost always have general liability and D&O liability insurance. If the lawsuit involves personal injury or property damage claims, and if the claims are covered by the policy (and not all are), the lawsuit will be defended by the general liability carrier. If the lawsuit makes claims other than personal injury or property damage, than it may be covered by the association’s D&O liability insurance. •	What is meant by “indemnity” and “defense”? The two primary obligations that an insurance carrier has with respect to what is called a “third party” claim (to be differentiated by a first party claim made by the association itself) is the obligation to defend and indemnify the association, the board members and perhaps committee members that have been named in that lawsuit. In this context, a “defense” means to provide legal counsel and/or pay for attorney fees and costs that are incurred in defending the lawsuit. 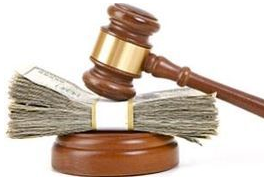 “Indemnity” means paying the amount of any judgment or award that is given to the plaintiff. •	Who selects the lawyer to defend the lawsuit? Once the lawsuit has been tendered to the association’s insurance carrier, the insurance carrier usually selects the attorney. While there may be the rare occasion when the association gets to select its own attorney, for the most part, the insurance carrier will send the lawsuit to its “panel” counsel to represent and defend the association in the lawsuit. •	What is “panel counsel”? Insurance carriers typically have “panel counsel” which is a selected attorney or attorneys who typically provide insurance defense services for that carrier. Sometimes, the panel counsel is an in-house law firm or attorney. Often, it is a separate law firm. And sometimes, the carrier does not have local panel counsel, and they will allow the association’s legal counsel to defend the lawsuit (but this is a rare occurrence). •	What is a “Reservation of Rights” letter? Almost always, an insurance company will issue a letter regarding the extent of coverage that will be provided by the insurance carrier for the lawsuit. The letter is typically referred to as their “Reservation of Rights” letter (or ROR letter), as the letter will define the claim and the coverage under the policy and will set forth certain “reservations” as to the insurance company’s obligation to indemnify the association. If any of the claims in the lawsuit are covered, the insurance company will most likely be obligated to provide a defense to all claims. The letter may say that in the event that there are any damages awarded to the plaintiff and against the association which are not covered by the policy, the insurance carrier reserves the right not to pay those damages. Often, the reservation letter will also say that the carrier may decide to withdraw all obligations to defend and indemnify, depending on the facts that are determined through the lawsuit process. These reservation letters should be reviewed by the association’s legal counsel, and the board should be aware of the limitations on the coverage provided by the carrier. In some cases, the insurance carrier may even have the right to seek reimbursement for some of the fees they paid for the defense for uncovered and “reserved” claims. •	What is “Cumis” counsel? Under certain circumstances, an association may be able to appoint its own counsel to defend the association in a lawsuit. That independent counsel is typically referred to as Cumis counsel. Cumis was an individual who sued his own insurance carrier, claiming that there was a conflict of interest between the insurance carrier and Cumis, and Cumis did not believe that the insurance carrier’s assigned defense attorney would adequately protect his rights. The court agreed, and in those situations where the insurance carrier does reserve rights, the court determined that the insured may be entitled to select its own defense attorney. The holding in that case has been further defined, and the extent to which an association may be entitled to a defense by counsel of its choosing has been limited by the legislature. Now, the reservation which would trigger Cumis counsel must be what is called “outcome determinative”. That means that if the insurance defense attorney would have the ability (not to say that they would) to direct the case so that it would be decided against the association as an uncovered claim versus a covered claim, then under that limited situation (which is often difficult to establish), the association may be entitled to its own independent counsel. •	Should the association’s own counsel be involved in the lawsuit? The answer is sometimes, and it depends. These days, there are many exclusions in insurance policies which may limit what the insurance carrier will pay as part of its indemnity obligation. For example, if there is mold involved in the claim, it is likely that the carrier will not pay for any of the costs relating to the removal of the mold. In some cases, it may even affect the carrier’s obligation to defend. And there may be issues relating to what needs to be repaired, and the carrier may look to the association to make certain common area repairs. Under these circumstances, it is wise for the association to have their own counsel involved in monitoring the lawsuit and perhaps attending certain key meetings or conferences with the carrier and/or defense counsel.